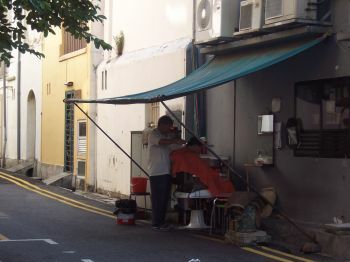 Aaah, I rememeber this nice street and barber shop in Chinatown!! Greetingz from Aachen! Hello Andreas! Good memories, I'm looking forward to capturing more. We go where we're comfortable. Good one! !